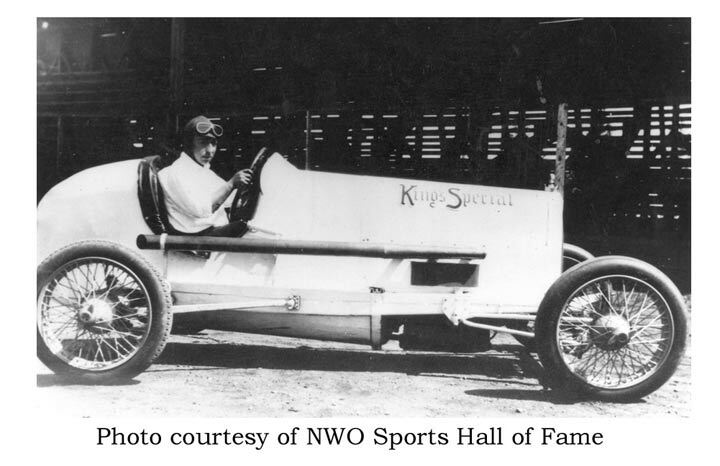 Built by Art and Arnold King of Port Arthur, this car was very unusual even in its day, having been fashioned after the Indy racers of the early 1920's. With a drastically altered Model T chassis and a home-built body, the brothers created a dirt track racecar that was to dazzle the spectators for decades to come. 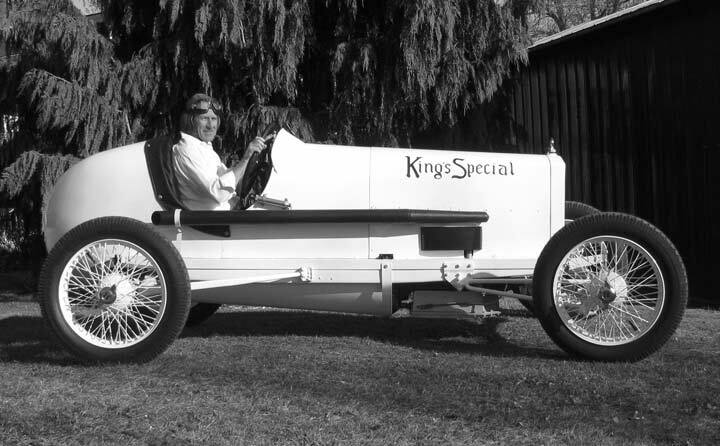 With the fearless and flamboyant driver Frank Colosimo at the controls, the King's Special soon became the champion of the local tracks and often competed against cars from Winnipeg and Duluth, A legend was born! Among its speed equipment this car boasts a Roof overhead camshaft, Scintilla high-tension magneto, twin Winfield carburetors, full pressure lubrication, counter-balanced crankshaft, geared water-pump, worm and gear steering, and Dayton racing wire wheels and tires. Top speed was claimed to be in excess of 150km/hr at an engine speed of 4200rpm. The $2200 that went into building the car in 1923 and 1924 could have bought four brand new Fords at the time! Kevin Mowle, automotive historian and Canadian Model T specialist, has spent many years researching racing in Canada. His wealth of information and relentless search for the missing parts made the re-building of this famous auto possible. The present restored car is the work of Alan Cronk of Wyoming, Ontario, and the late Allan Cronk of West Vancouver, both former residents of the Thunder Bay District. Their wives, Sandra and Helen, have greatly inspired the reconstruction of this historic vehicle. Video 2: Grand Bend Motorplex: "The Wave"